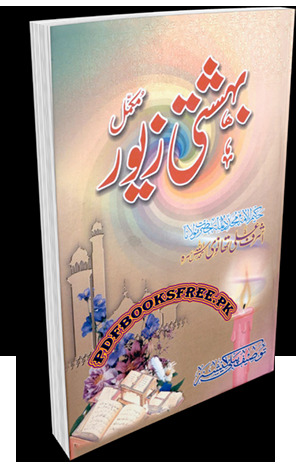 Bahishti Zewar Urdu Complete new latest version authored by Hazrat Maulana Ashraf Ali Thanvi r.a. This is another most famous and important Islamic educational book for Muslim ladies which provides easy and effective ways and tips to buildup their character according to the Islamic education. Necessary book to have in every Muslim home. This Islamic Urdu book is now available here on Pakistan virtual library for online reading and download. Check out the following links to read online or download the complete book in high quality Pdf document format and enjoy offline reading. Thanks brother for a good served. Bundle of thanks for uploading such great book…May Allah Almighty bless u very much..
Really very nice book , it is necessary for all muslims’s Home.